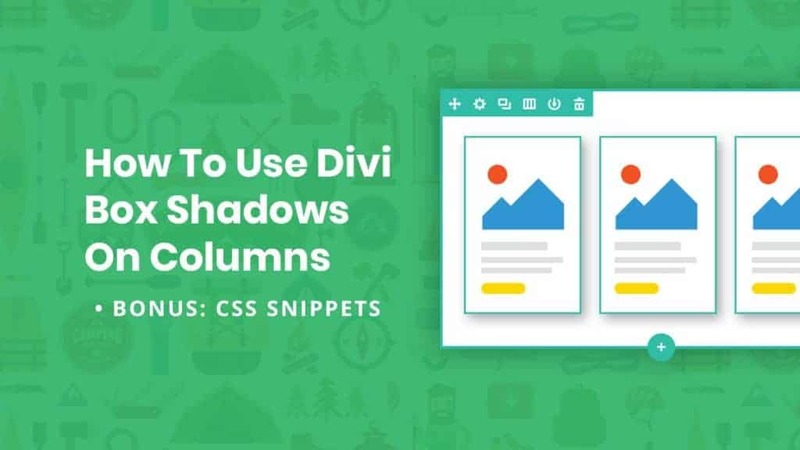 In this tutorial, I'm going to show you how to add Divi box shadows on columns with CSS that match Divi's built in box shadow options. 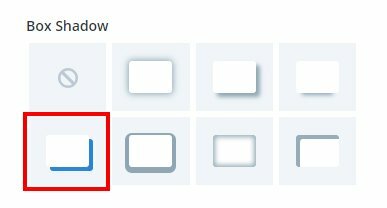 There are many times when you need to add multiple modules to a row. The most common example is a blurb and a button. However, it won’t work to put a box shadow on the blurb and the button since those are both inside the column. So we need to put a Divi box shadow on columns. Here’s how to solve this problem! 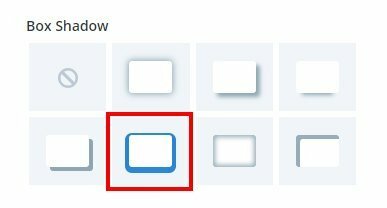 I thought I was the only one who noticed, but thankfully it looks like Elegant Themes will be changing this in the next 6 months. 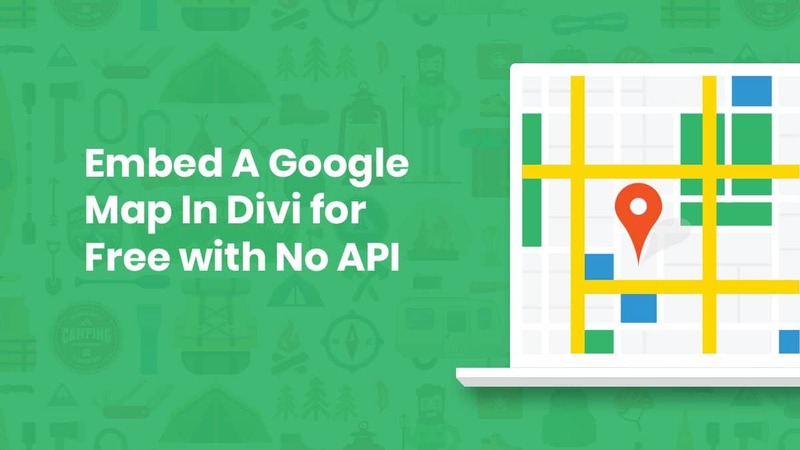 Until then, Divi does not include design options for columns. Thankfully though, we still have the CSS boxes for each column. 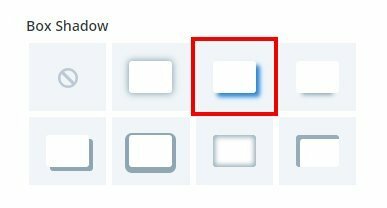 We can use CSS for things like box shadows or borders since ther are no built-in options available at this time. In the next section I’ll explain how to match the CSS to any others you may have on your website in other place. You don’t need to know CSS for this one! 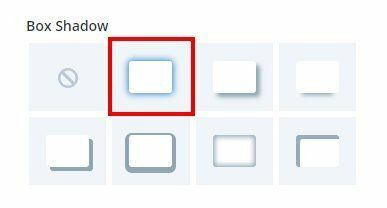 In the diagram below, I demonstrate how easy it is to write the CSS code to match any Box Shadow options in Divi. 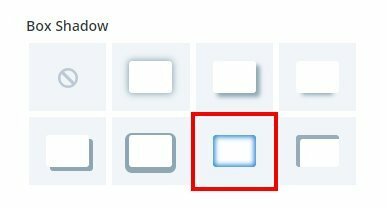 Start with the CSS property “box-shadow:” with a colon. Next, add a number for the horizontal position. Use a positive number if you want the shadow to go right. Use a negative number if you want the shadow to go left. Next is the vertical position. Use a positive number if you want the shadow to go down. Use a negative number if you want the shadow to go up. After that is the blur strenth. A lower number will be clear and a higher number will have more blur. The next value is the spread strength. Raising this number intensifies the shadow while spreading it out. Lastly, the box shadow color. Typically this is an rgba color such as the color black #000000 with a 30% opacity. 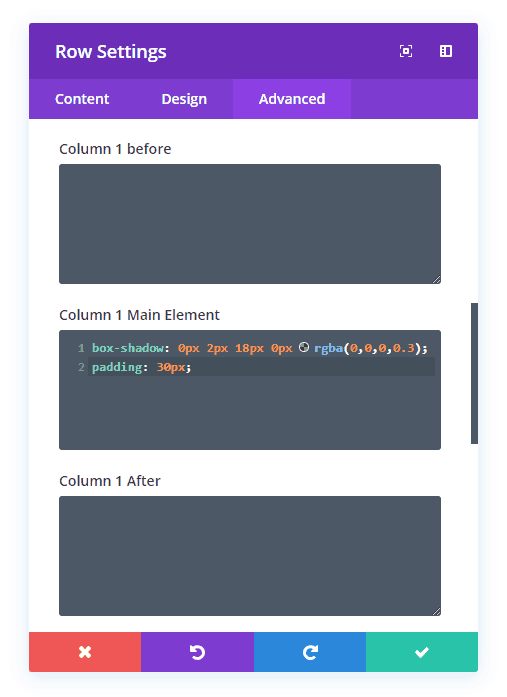 Write the CSS in the column Main Element box. Now for the fun part. 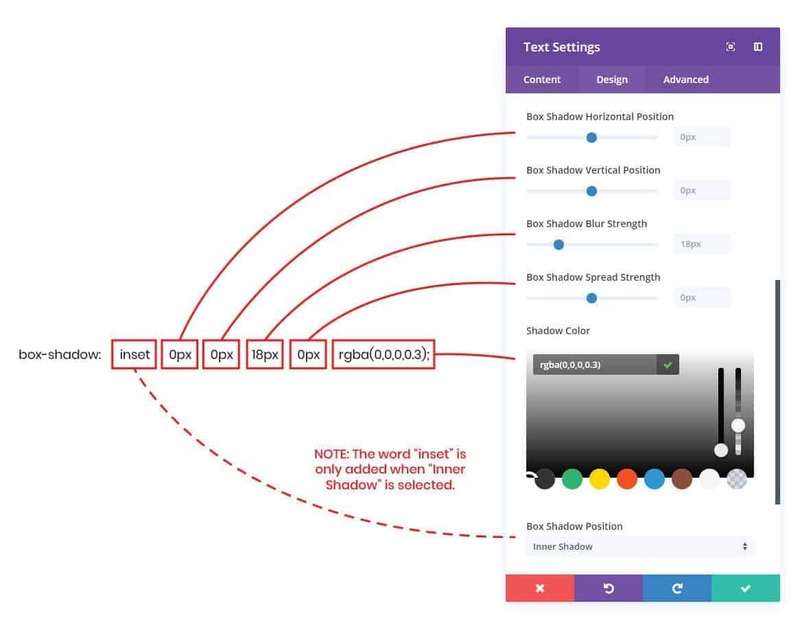 Take what you learned and write the CSS code using the values we learned above and create Divi box shadows on columns. Make sure to put the code in the Main Element box of each column. NOTE: I also added 30px of padding to improve the look of the example result below. The result = Divi box shadows on columns! You can take the following CSS code snippets and place them anywhere you want a box shadow. The best use case example is in the columns since Divi does not have design options for columns. This is an example of the default Divi box shadow 1. This is an example of the default Divi box shadow 2. This is an example of the default Divi box shadow 3. 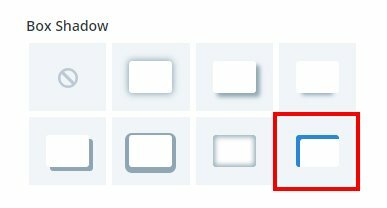 This is an example of the default Divi box shadow 4. This is an example of the default Divi box shadow 5. 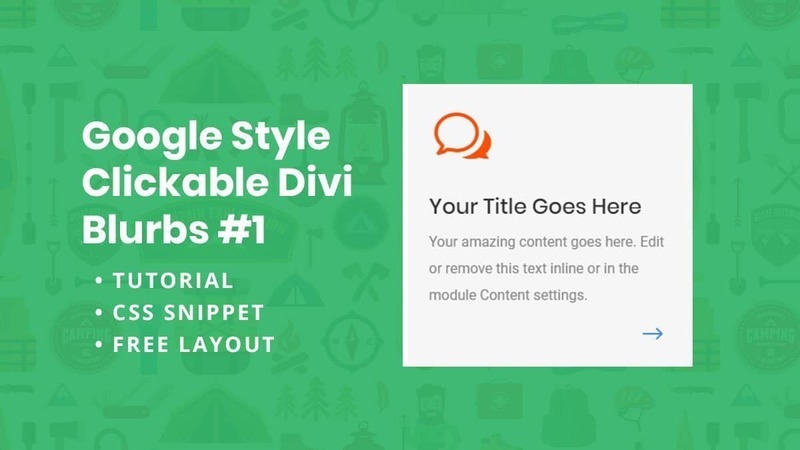 This is an example of the default Divi box shadow 6. This is an example of the default Divi box shadow 7. 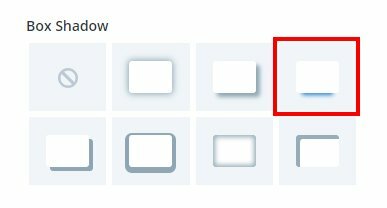 Thank you, I am all up to date with DIVI and I still don’t see a way to set shadows for each column. This code did it, thank you! I think soon after I posted this they announced that design options were coming to columns.